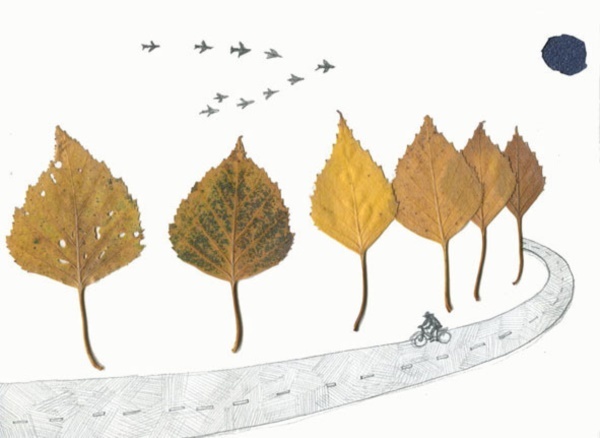 We often leave leaves alone because we take them for granted. 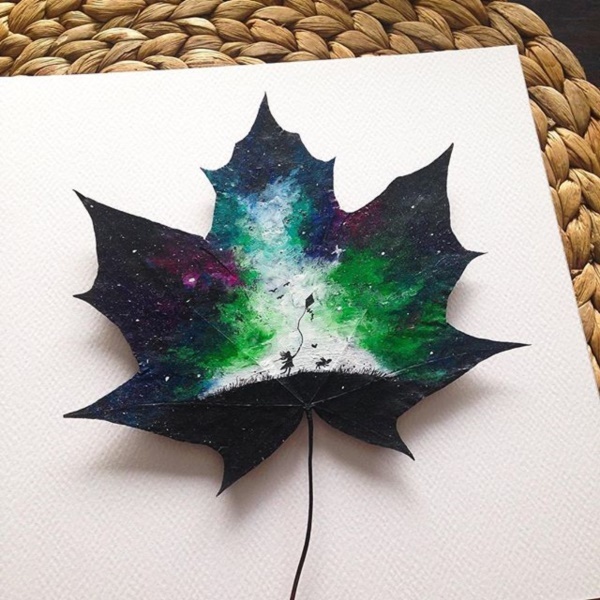 But what if we did not leave the leaf alone? 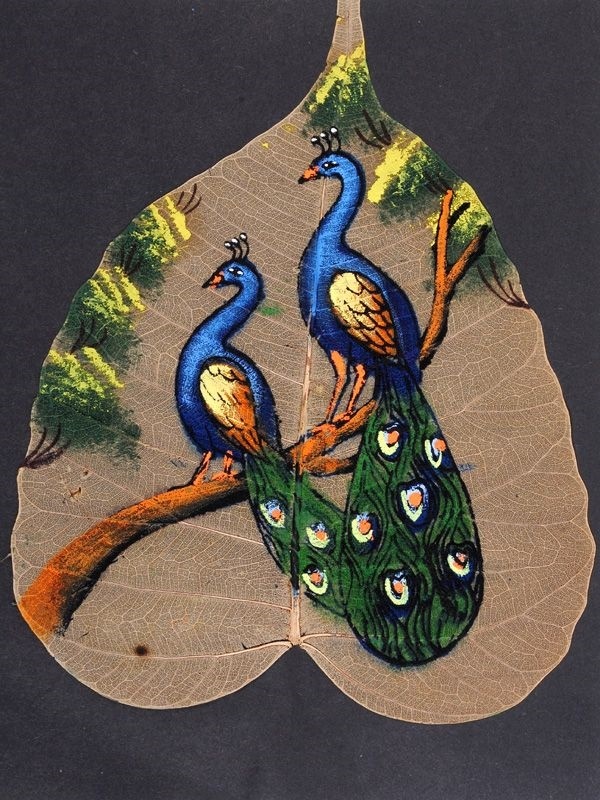 Okay, now that we have got that bit of wordplay and pun out of our system, let us get down to the business of talking about interesting leaf illustrations. 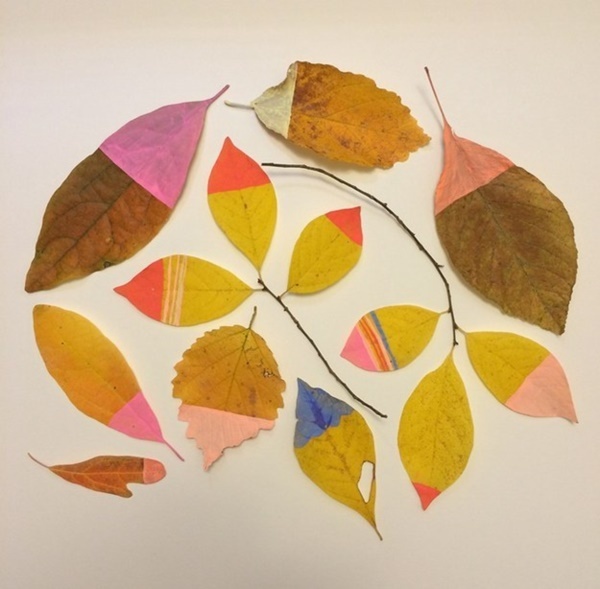 What do we mean by leaf installations? 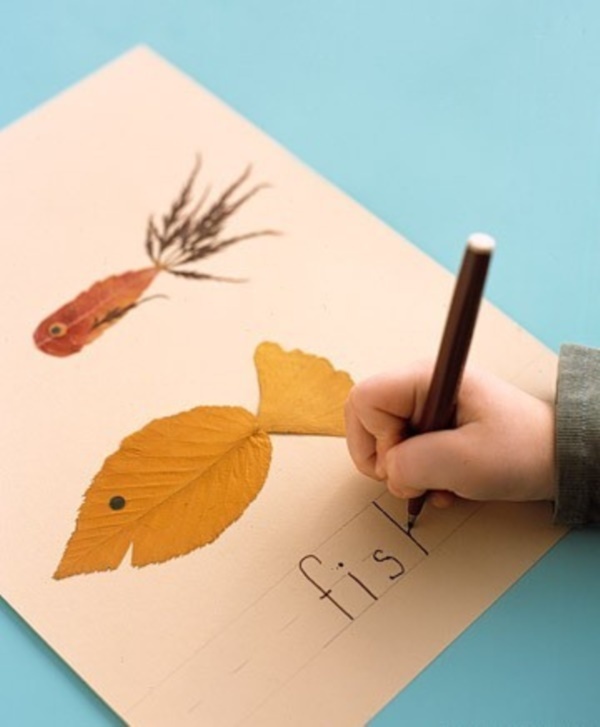 Rein in your thoughts and mind before you start thinking in terms of something complicated and involving a lot of technical maneuvers, let us tell you this is anything but. 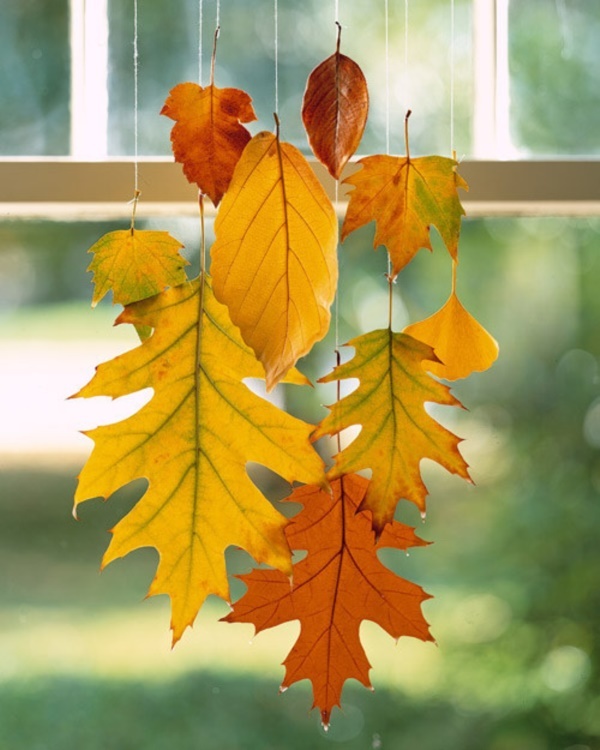 It is simple and makes the most of the different shapes in which leaves come in. 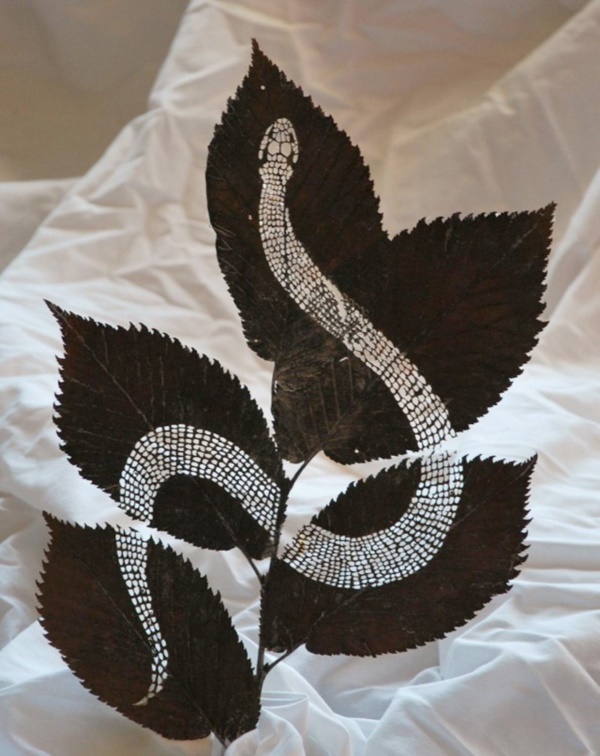 In fact, once you read what we have to say and view the images we have given here, we will not blame you for trying to kick yourself for not thinking of this first. 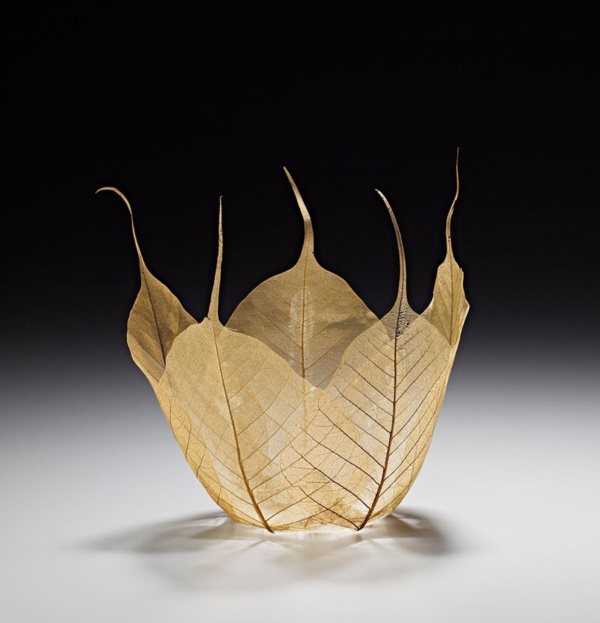 We are talking about simply taking leaves and use their lovely shape and form to come up with different works of art. 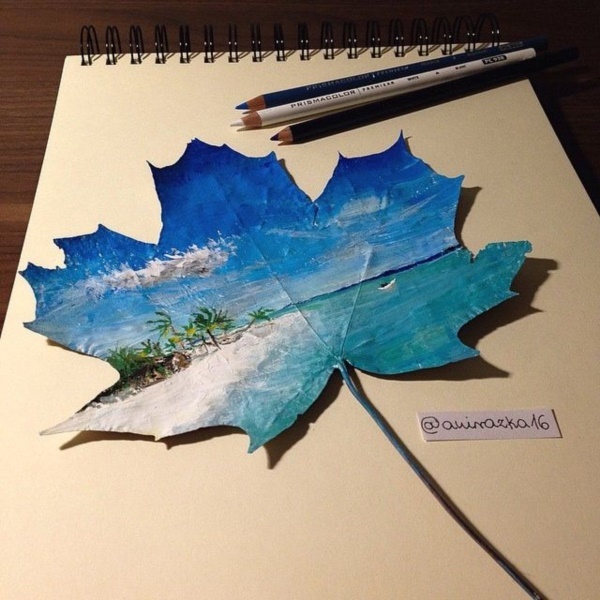 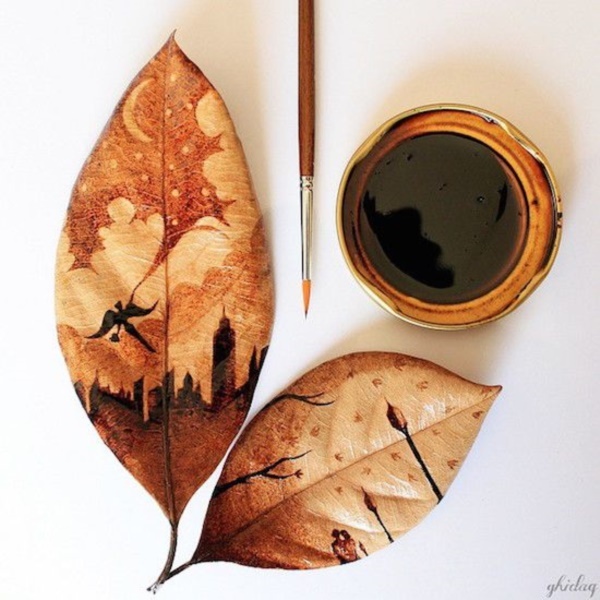 You could add this to your portfolio of innovative examples of leaf painting, if you have not already done so. 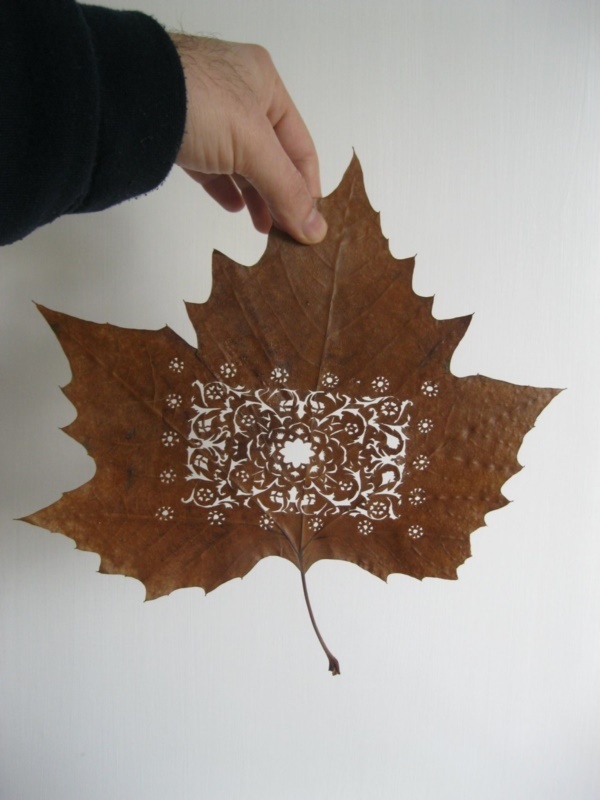 It is not to be compared to other leaf based art where colors are extracted from a leaf to create a work of art like beautiful henna tattoo designs, which come from the henna leaves. 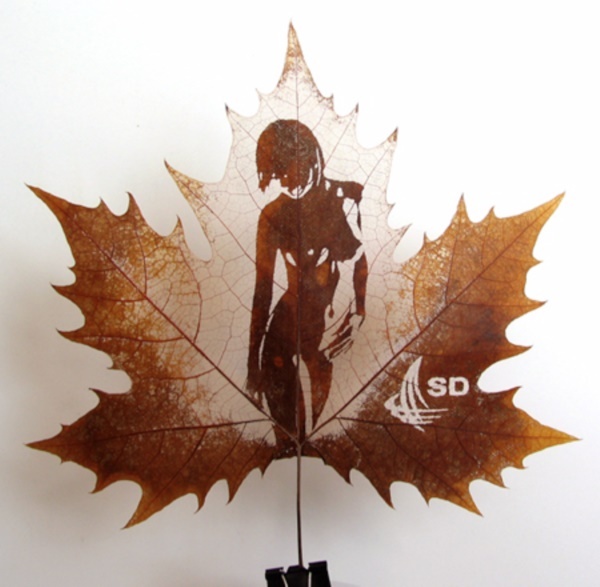 Once you get into interesting leaf art installations, we are sure that you will spend a lot of time studying the forms of different leaves and start imagining ways in which you can use them. 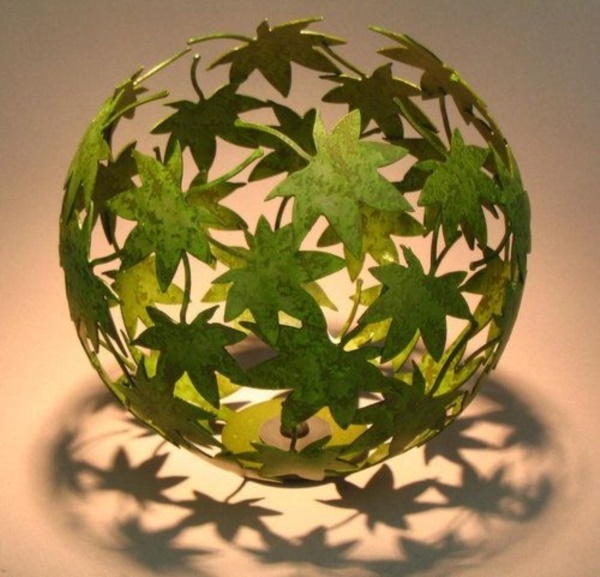 This is such a subtly green art, that do not be surprised if you go to extent of studying indoor plant ideas as a green touch to decoration and also as an easy source for leaves using which you can try out leaf art installations. 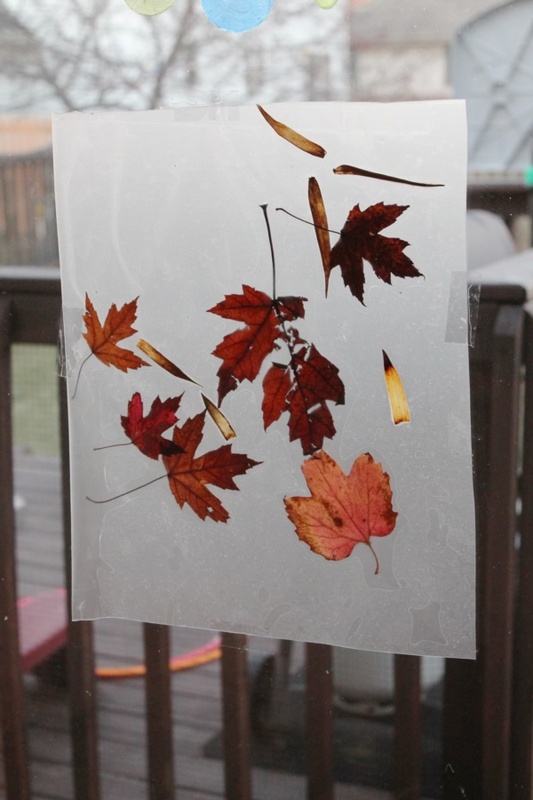 Some of the ways in which you can use leaf to create art installations are given here, but these are just for direction and not to be taken as a list of exhaustive ideas. 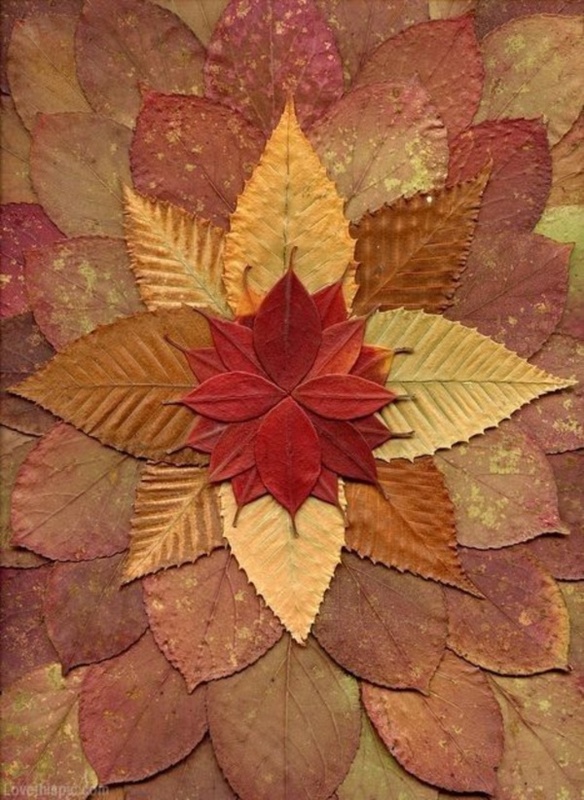 For instance, one of the things that you can do is look at a collection of leaves of different shapes. 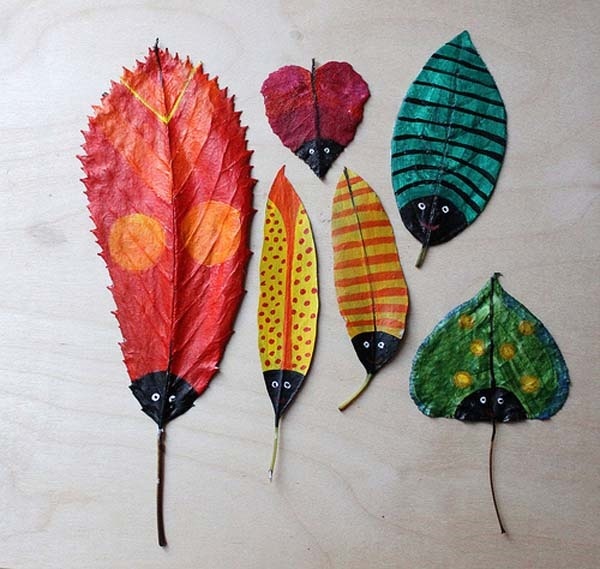 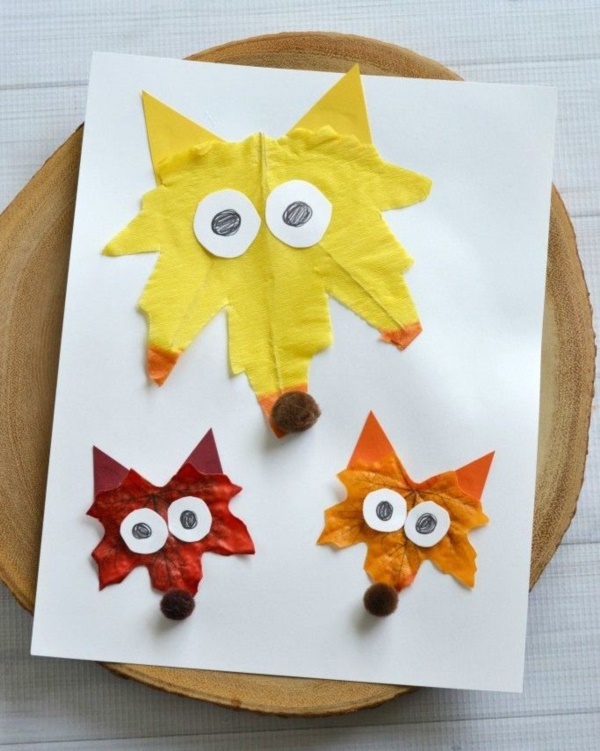 Once you have collected leaves of different shapes, then you can stick them on a piece of paper to create a figure like that of squirrel or even a flower. 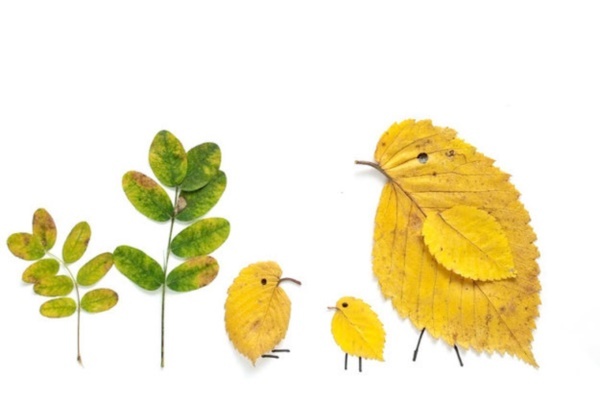 You can create birds, animals, plants, and other natural creatures that you see around you. 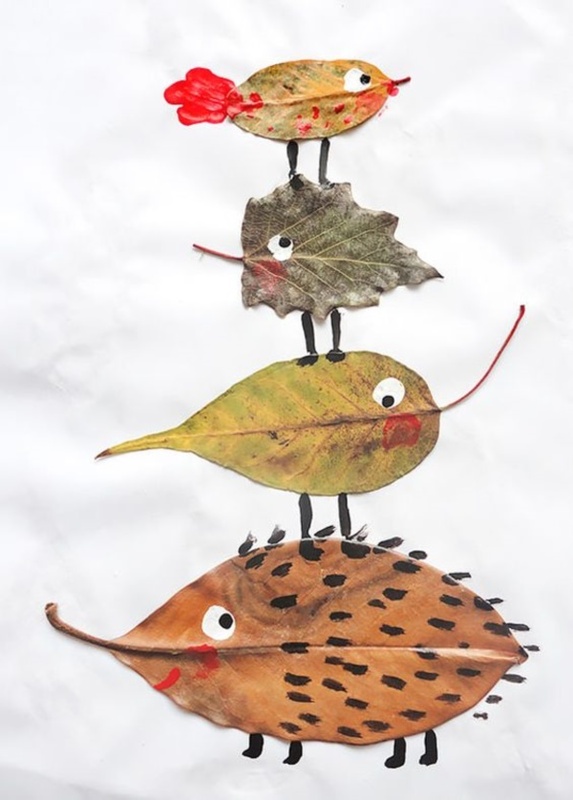 This is a green project that you should encourage your kids to try as part of their leaf installation art projects. 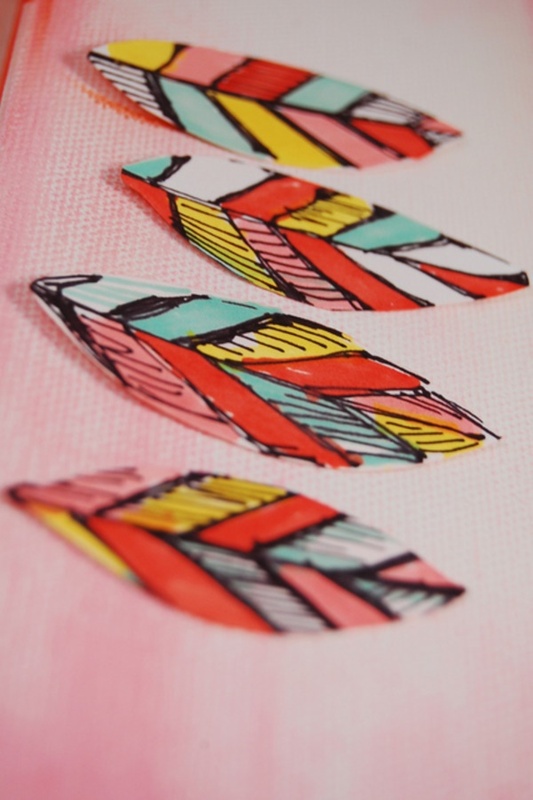 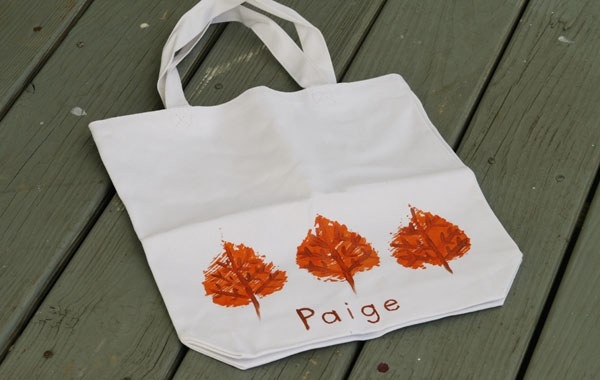 You can also think of a collage of leaves of differently shaped leaves on which you can draw or paint other designs. 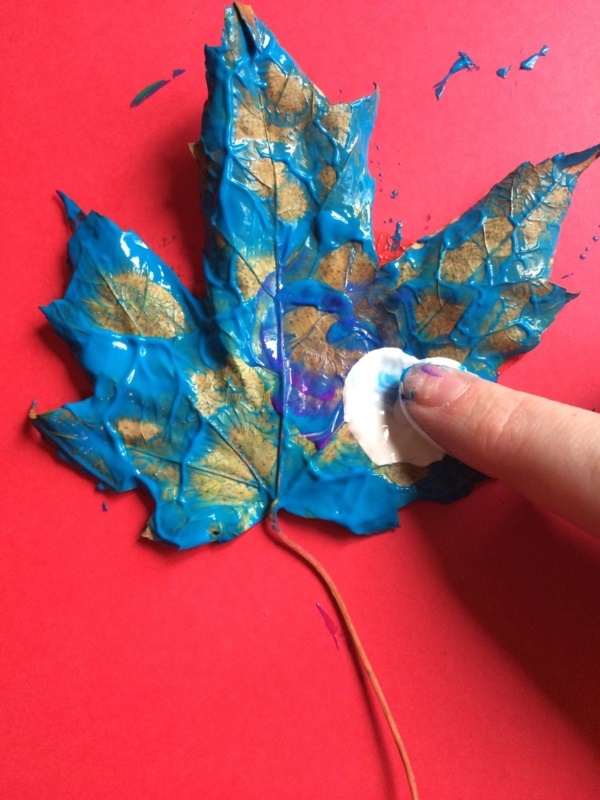 If you are doing this leaf installation project with your kids, then we suggest that you encourage them to research the area from which these leaves originate. 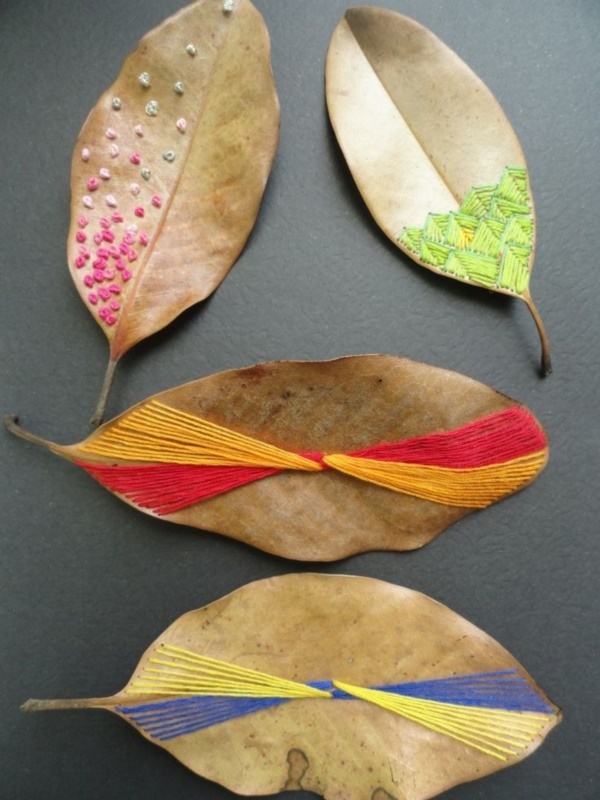 Then they can look up tribes that are indigenous to such area and get motifs from them to draw or paint on the collage of leaves. 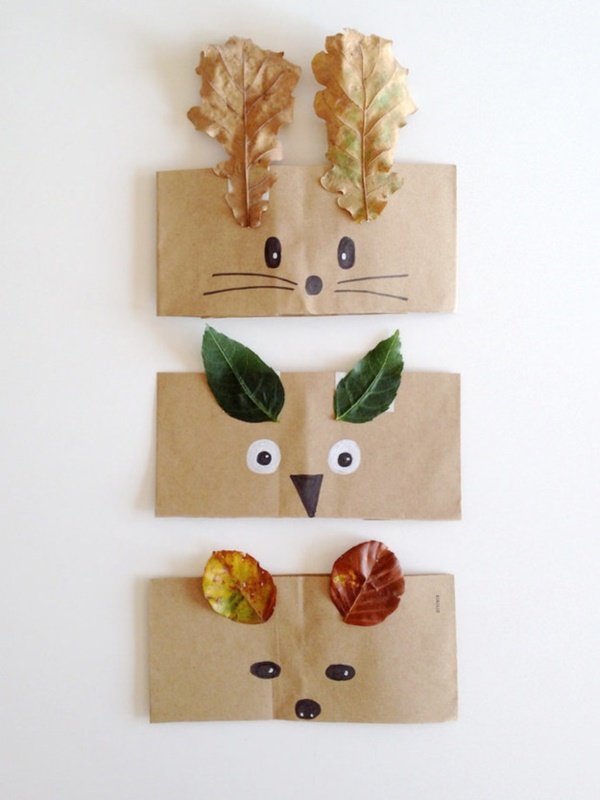 This is a fun way to teach and learn about plants and cultures. 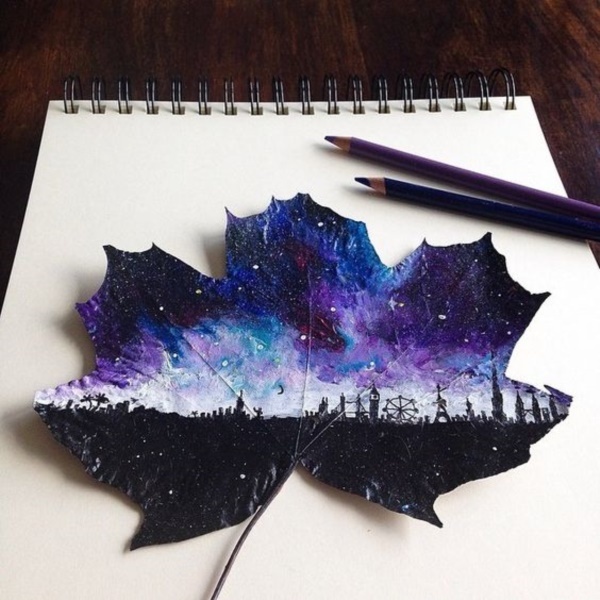 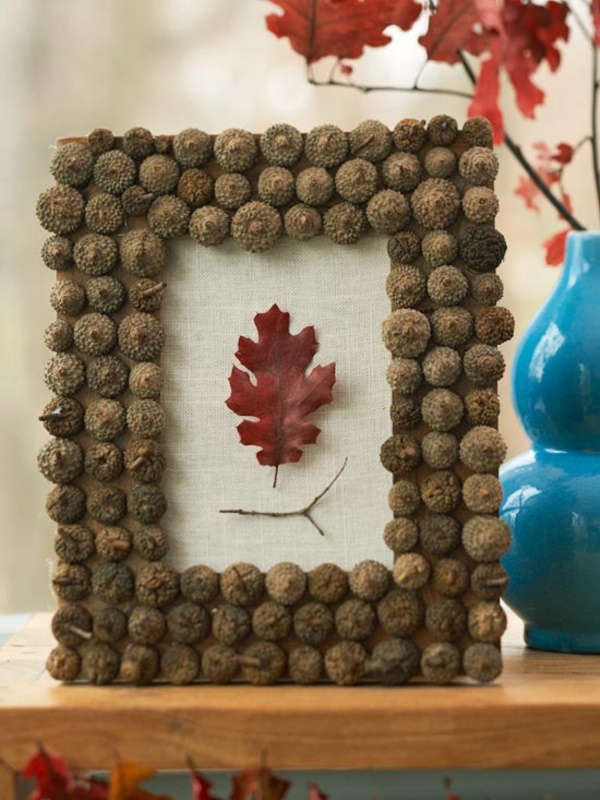 Another fun project would be to use leaves to create a negative space art. 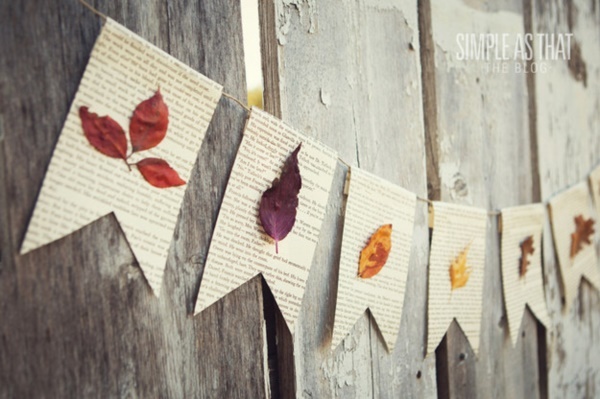 Which is nowhere as complicated as it sounds. 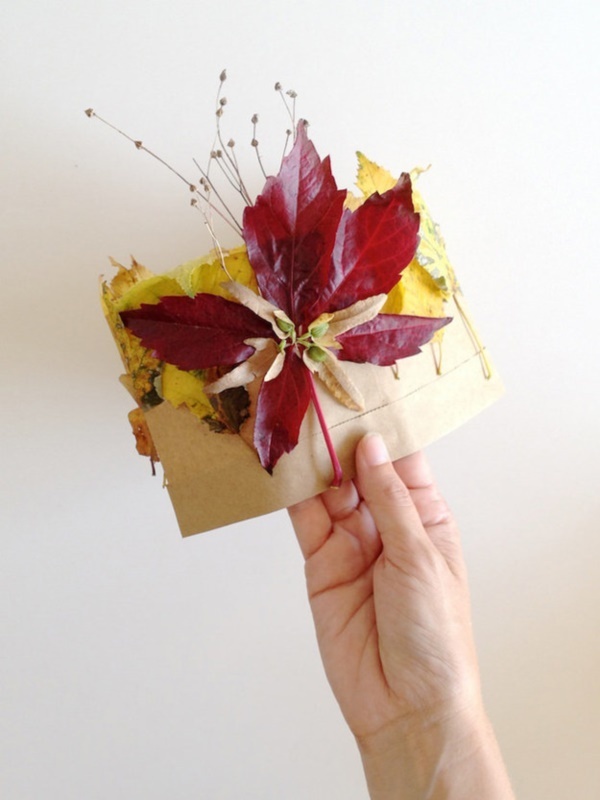 It is simply a matter of taking a sprig of leaves and putting them on a piece of paper. 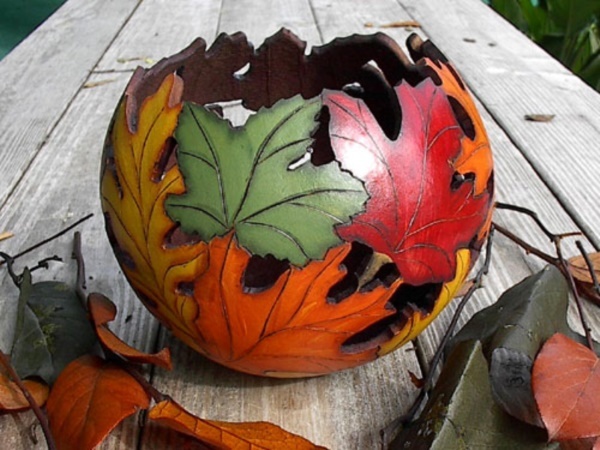 Then you can spray paint around this. 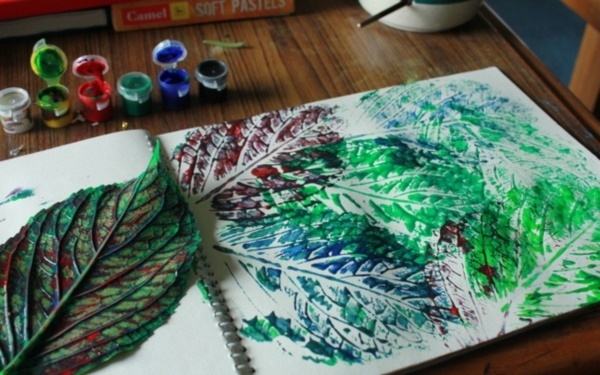 Once the paint is completely dry, you can simply lift of the sprig of leaves to see the lovely effect that the sprayed paint has created on the paper. 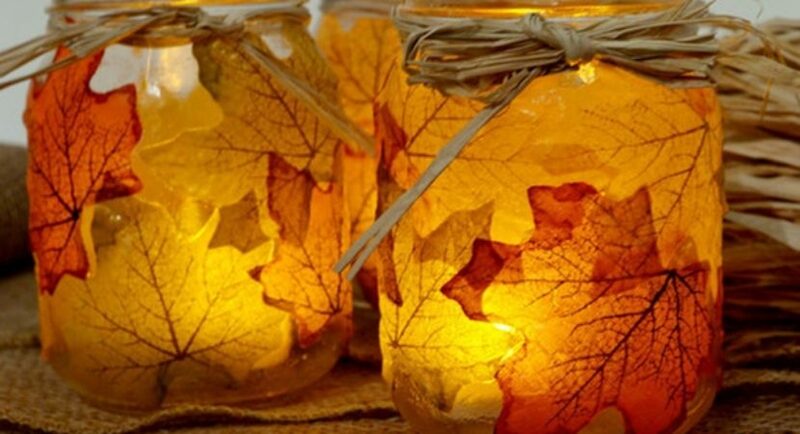 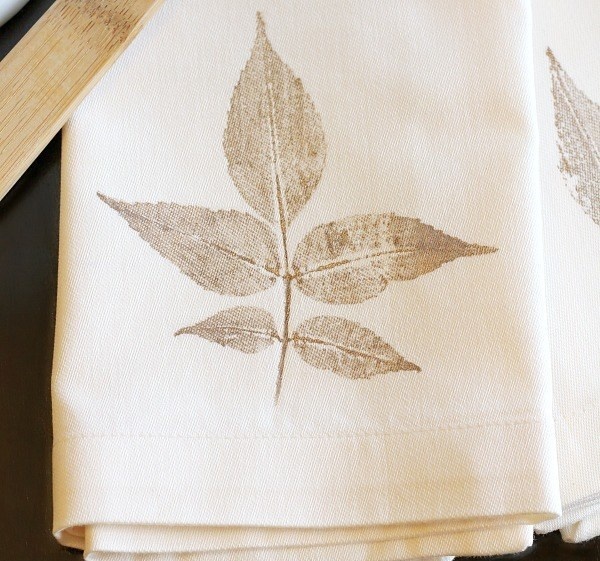 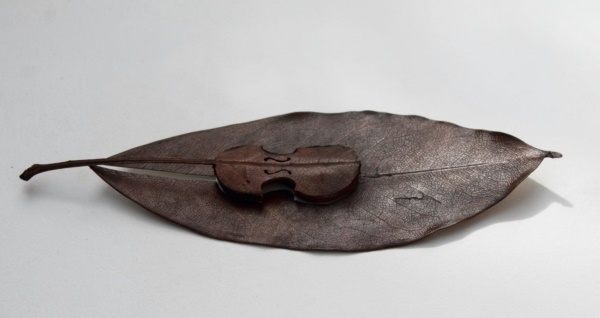 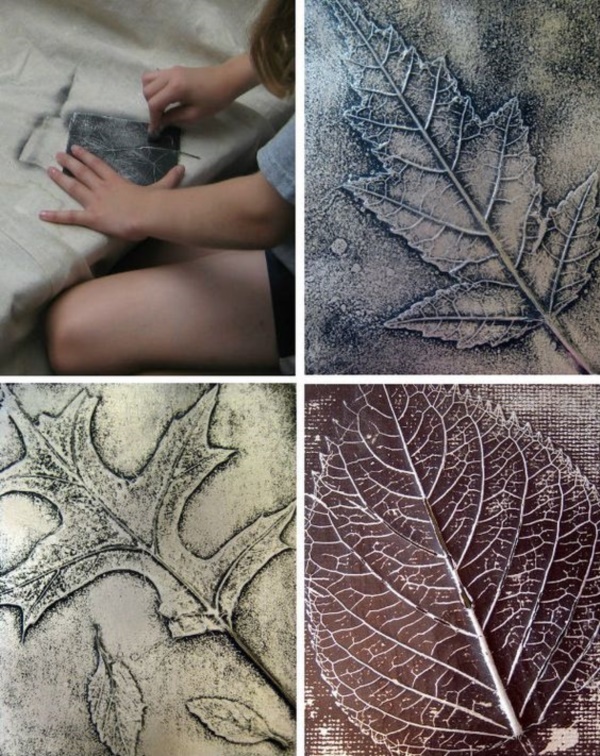 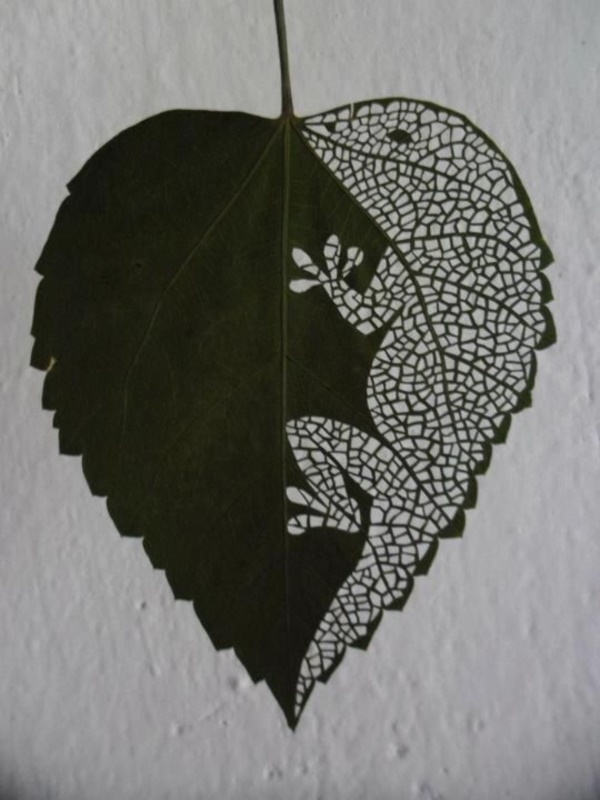 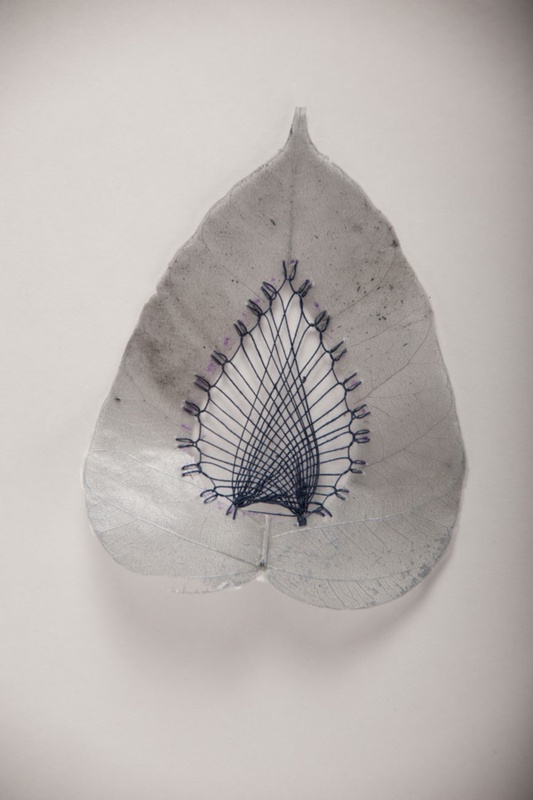 You can also use the skeleton of the leaf once the green portion has dried off to make interesting works of art. 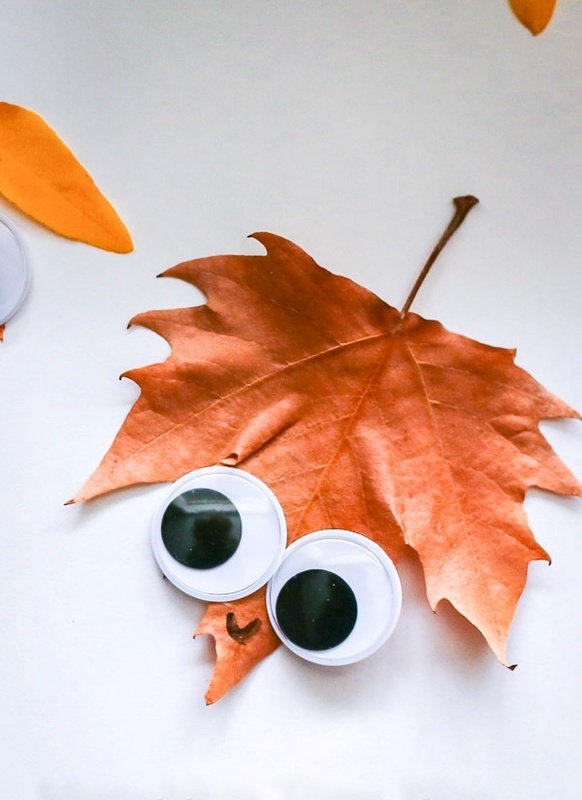 We suggest that you keep studying nature and the way creatures out there use leaves for various purposes and incorporate these factors into leaf installations. 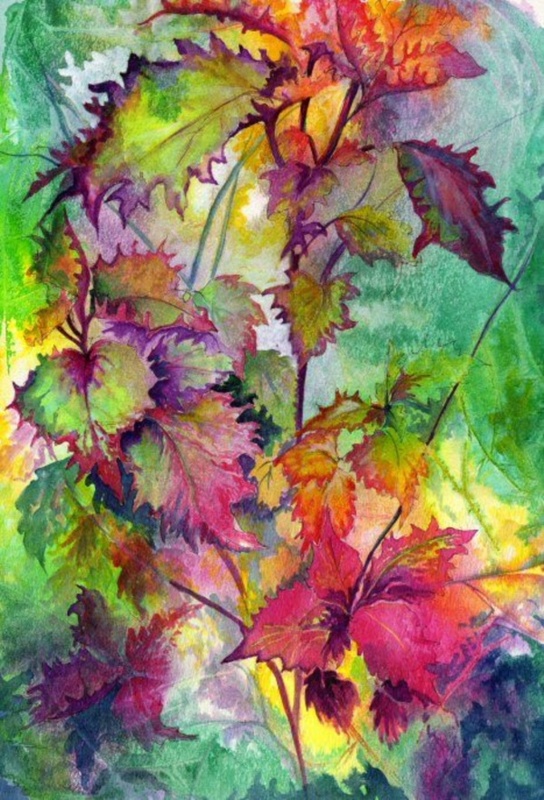 For instance, some insects use leaves as shelter and you can factor this in your art. 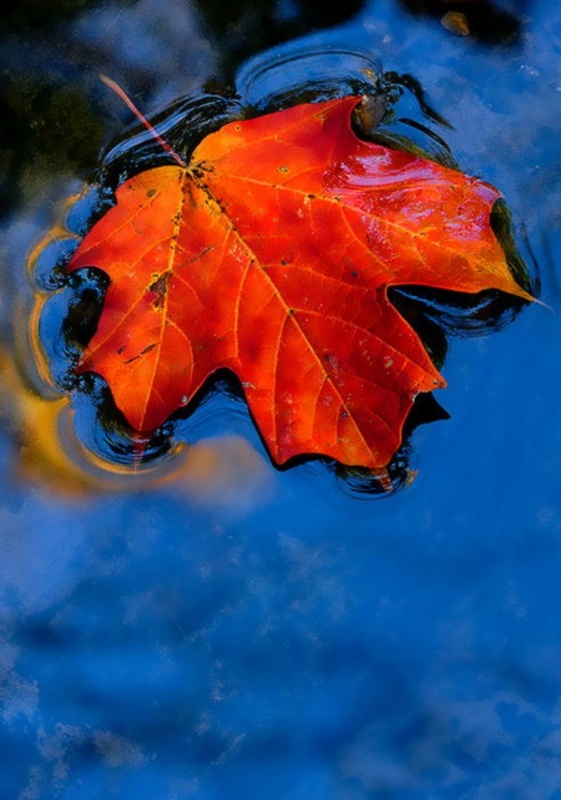 By now you have grasped what we are getting at and the images we have provided can also inspire you to do more. 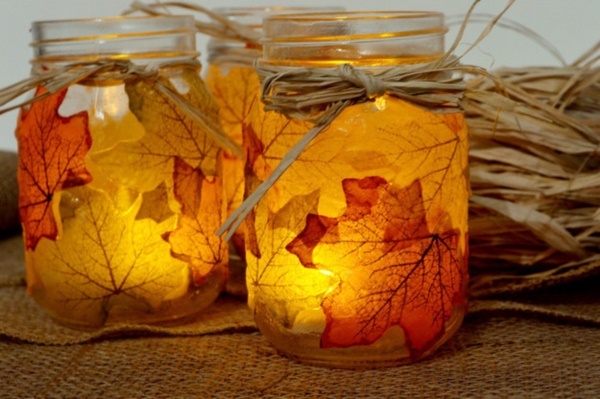 Do let us know how it worked out for you and if possible share pictures with us.